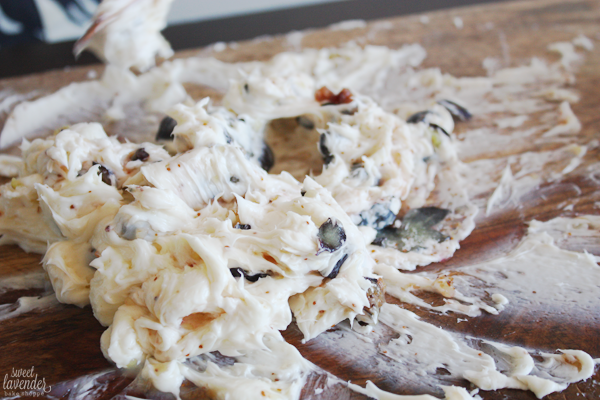 Remember this homemade butter post? Well now we're going to take that extra step and make it into something truly magical. Almost too magical. You've been warned. As stated in said last post, if you've never had homemade butter, guuurrrrrl, you better get on it. It's ridiculous. But in a super good way. It's like nothing you've ever tasted! Think of the best butter you've ever had and like multiply that amazingness by about one hundred million. That friend, is the glory that is homemade butter. So maybe you've already had homemade butter (yay you!) and like me, you're a huge fan. 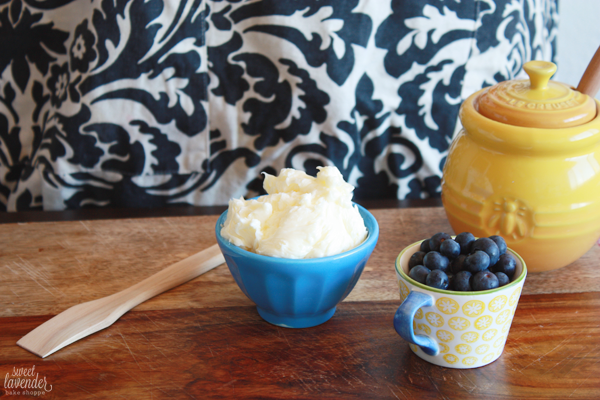 But, you're also going, "Been there, done that..." Ok, ok I hear ya...have you ever made homemade blueberry honey butter?? Hmmmm have you?! I didn't think so. 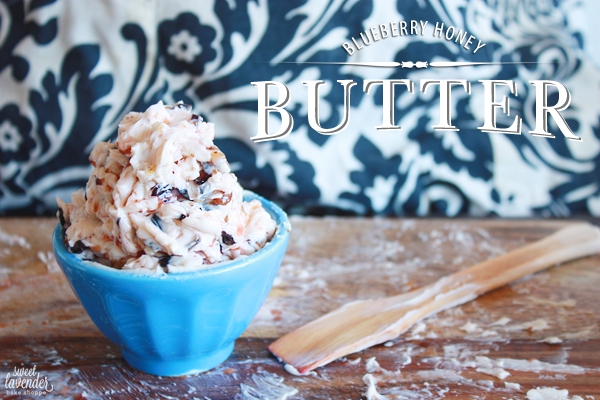 Imagine that awesome creaminess paired with subtly sweet fresh smashed blueberries, a hint of naturally sweet honey, and a pinch of sea salt. Yum, right? Blueberries are still in season for a little while longer, so run to your nearest store or farmer's market, pick up a pint and let's get this baby made, shall we? Yes! You can totally make this using your favorite store bought butter- but I recommend buying a sweet cream or "unsalted" version. Trust me. Use this new butter on fresh made biscuits, pancakes, waffles, smeared on toast, scones, you get the point. 1. 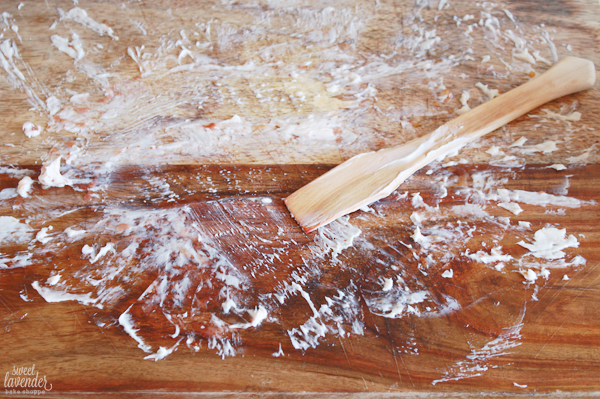 Place room temperature butter onto a large board or clean surface. Smash into a flat disk. 2. Pour blueberries onto butter and with a paddle or spatula, smash together, making sure to really break up those blueberries and release their juices. 3. 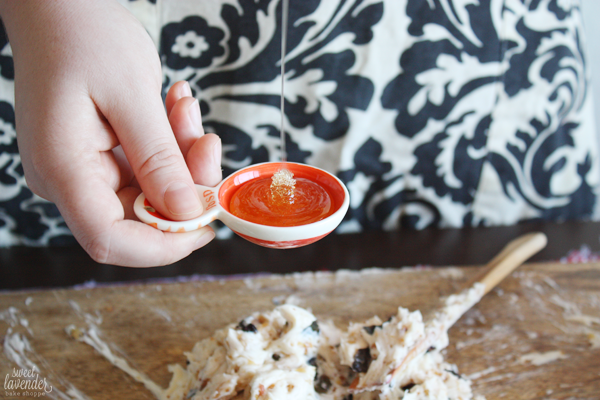 When you've smashed together as best you can, add honey and smash/stir until completely combined. 4. 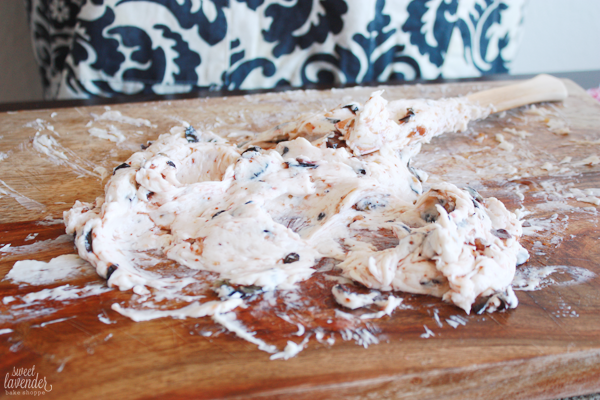 Next, add your sea salt (depending on taste) and smash/mix together a bit more. 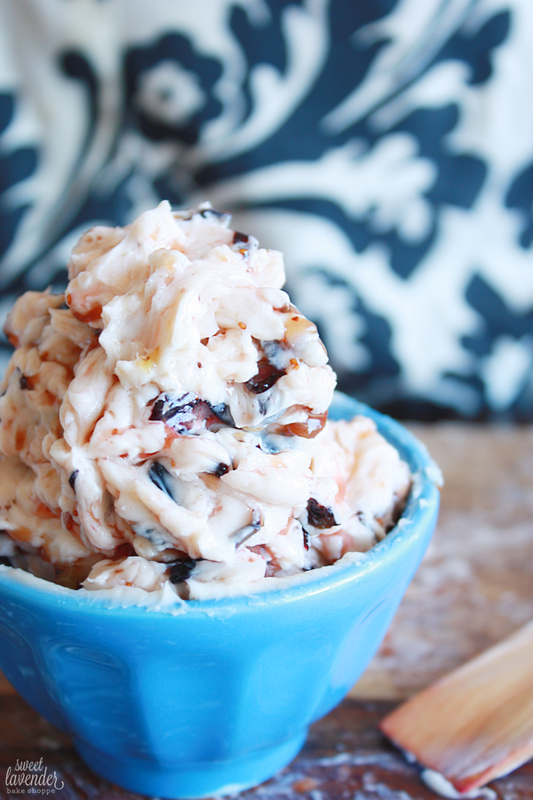 We went ahead and added the full 1/4 teaspoon because we love the salty-sweet combo! 5. Scoop butter up and use right away or add to an air tight container and store in fridge for up to 4 days. Don't be surprised if more liquid comes out of berries as it sits. 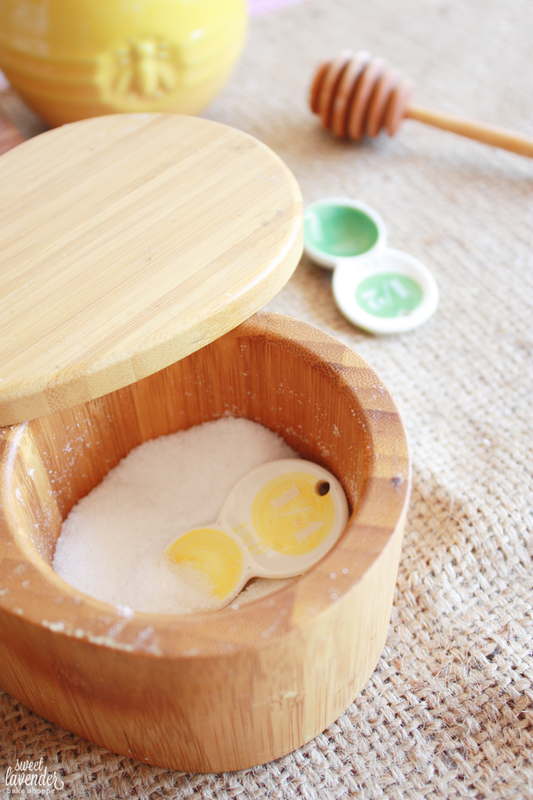 This is simply due to the fact that salt brings out food's natural liquids. Just pour out the liquid and give it a good stir before serving. Uhhhhmmmm YES THIS STUFF IS AMAZING!!!!!! So good! 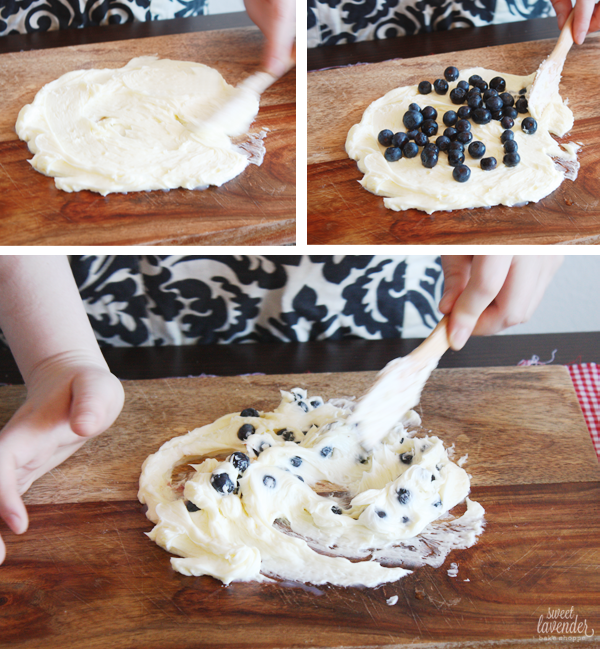 I have fresh blueberries to use and this looks delicious!! Oh my goodness, this is blowing my mind. It looks so delicious Christina!